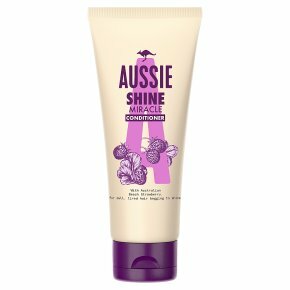 Our Aussie Shampoo Miracle Shine with its miraculous formula, with Australian Ginseng extract and Pearl powder, boosts your hair's shine and vibrancy, adding gloss to each hair strand. Our miraculous formula wakes up tired hair leaving it vibrant and shiny. It's a miraculous combination that'll leave you positively glowing. With Australian Ginseng extract & Pearl powder. For dull, tired hair begging to shine.Bring your hair gleaming and beaming back to life with our special conditioner formula, with extracts of Australian Ginseng and Pearl powder, to add gloss to every strand. It's a miraculous combination that'll leave you positively glowing. In the land down under, Ginseng has been known for centuries as a nourishing stimulant to boost energy (sshhh! It's an ancient native secret), but it's no secret how shiny pearls are! After washing with Miracle Shine Shampoo (miracles work best in twos), smooth into your hair. Rinse, then glow!